French President Macron thought he was making a funny joke two days ago whilst visiting Denmark. In a speech to business leaders in Copenhagen. 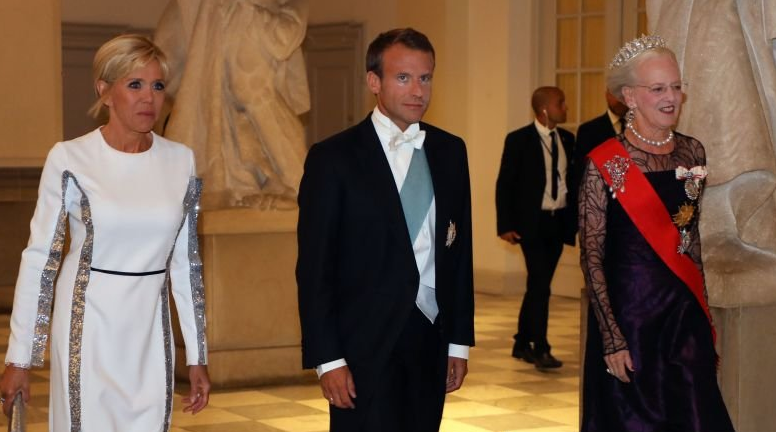 Mr Macron praised the ‘Lutheran’ Danes whilst damning the ‘Gaullist’ French for their resistance to change, referring to the difficulty he faces pushing through labour reforms at home. The ‘Lutheran’ Danes refers to the followers of ‘Luther’ whilst ‘Gaullist’ French is a reminder of the geographical name the ancient Roman leaders gave to the countries now known as France, Belgium, the Netherlands and Luxembourg. The domestic press immediately responded in kind. Not paying any attention to the rest of Mr Macron’s speech, they seized on this gaffe to remind their readers that their ‘Rothschild banker’ president has a habit of criticizing his own people while abroad, referring to speeches made in Greece and Romania where he also criticized his own. Ms Marine Le Pen, leader of the largest opposition party, the right-wing FN (now called the National Rally) stated: "As usual, he shows contempt for the French while abroad. The 'Gauls' will be happy to respond to his arrogance and contempt." Moving on to Helsinki, Finland, Mr Macron saw the criticism in French press and tried to backtrack his words, stating: "I love France and the French and I love in all its components. I love them, these Gallic tribes, I like what we are." What else would you expect from an Obama mentee?